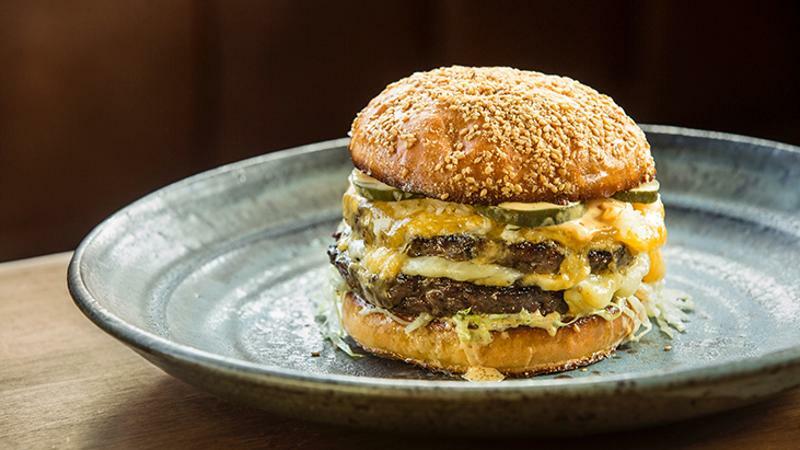 America is a burger-loving country, and this May happens to be National Burger Month. The burger is the bases of many menus, and it’s an area that is ripe for innovation—especially as a growing number of guests seek menu items that are healthy, made with ingredients that are sustainably produced and full of flavor. Diners today are interested not only in food that is good for them—they also want food that makes them feel good. For that very reason, the James Beard Foundation is hosting the 3rd annual Blended Burger Project™, which kicks off Memorial Day, 2017. The Blended Burger Project™ is a movement that strives to make burgers better by blending a ratio of at least 25% finely chopped or diced mushrooms with ground meat—the blend—creating an incredibly delicious patty that will meet the changing needs of your guests—who are seeking more nutritious and sustainable dishes. This has become an important initiative for the James Beard Foundation, the Culinary Institute of American (CIA) and others who are trying to make a difference in the food we eat and the menus we create. The blend is a new way to look at burgers without forfeiting flavor and creativity. In fact, the blend makes your burger stand out, since anything you can do with a regular burger, you can do with the blend. It’s the perfect way to enhance an existing platform and bring more sustainable practices to your menu. To participate in the James Beard Foundation Blended Burger Project™, just create your own take on a blended burger and menu it throughout the promotion period, Memorial Day through July 31, 2017. The five chefs with the most online votes will win a trip to cook at the historic James Beard House in 2018. It’s the way you can make an impact. New this year, your guests will have an incentive for voting as they can win an all-expenses paid trip to NYC to see you cook at the James Beard House. Visit jamesbeard.org/blendedburgerproject to read the contest’s official rules, including eligibility requirements and voting and judging criteria.